Seeking to undercut Russia’s petro-economy, Obama is bolstering the petroleum clout of the jihad-bankrolling Qatar and Saudi Arabia while turning a blind eye to Qatar’s jihadist rampages in the Middle East, North Africa, and beyond. Tiny Qatar, the world’s richest country in per capita terms, has leveraged its natural-gas wealth to emerge as a leading backer of Islamist causes, paralleling the role that the much-larger, oil-rich Saudi Arabia has long played to promote militant groups in countries stretching from the Maghreb and the Sahel to Southeast Asia. Qatar’s clout comes from the fact that it is the world’s largest supplier of liquefied natural gas and boasts one of the world’s biggest sovereign wealth funds. Located on the edge of the Arabian Peninsula, Qatar has propped up violent jihadists in other lands. It has contributed, among others, to the rise of the terrorist Islamic State group and to Libya’s descent into a lawless playground for Islamist militias. In contrast to Saudi Arabia’s sclerotic leadership, Qatar’s 34-year-old emir, Sheikh Tamim bin Hamad Al-Thani, is the youngest head of state in the Arab world. In fact, Qatar, which controls the Al Jazeera television network, seeks to present itself as a “progressive” oasis in the Persian Gulf — a nation that aspires to be “modern” in a way that few other Arab monarchies do, with the exception of Dubai. Still, as a global funder of jihadists and a key negotiator for release of Western hostages held by Islamists it supports, Qatar has repeatedly bared its dual leverage, including by helping to free a number of Western hostages. It brokered U.S.-backed peace talks between Israel and Hamas, helped to free U.S. journalist Peter Theo Curtis from the Qatari-aided Jabhat Al Nusra terrorist group in Syria in August, and played a role in the earlier American swap of Army Sgt. Bowe Bergdahl for five Guantánamo Bay detainees from Afghanistan. The five, all prominent Taliban figures, now reside in Qatar as guests of its government under a deal with Washington. Qatar has underscored its usefulness for U.S. policy in other ways too, including hosting a huge U.S. air facility (which it built at a cost of more than a billion dollars), agreeing in July to buy $11 billion worth of U.S. arms, and facilitating U.S. secret talks with the Pakistan-backed Afghan Taliban. Indeed, with U.S. support, it allowed the Afghan Taliban to open a de facto diplomatic mission in Doha, the Qatari capital. The U.S. today directs its air war in Syria and Iraq from the Qatar-based Al Udeid Air Base, home to 8,000 American military personnel and 120 aircraft, including supertankers for in-flight refueling of fighters. Another sprawling facility in Qatar, Camp As-Saliyeh, serves as the U.S. Central Command’s forward headquarters. Qatar charges no rent for either facility. Qatar’s critical importance for U.S. policy has deterred the Obama administrating from leaning too heavily on it to halt its support for violent jihadists. Qatar indeed has sought to augment its influence by funding some prominent American think-tanks, including the Brookings Institution, of which it is the single biggest foreign donor. Qatar’s clout allows it to run with the foxes while hunt with the hounds. Like another U.S. ally, Pakistan, Qatar panders to America’s demands while working simultaneously to undercut U.S. interests. Some of America’s Arab allies indeed have been warning that Qatar is playing a double game — claiming to back U.S. policies while sponsoring dangerous extremists. Even as it bankrolls global jihad, Qatar participates in the U.S. air war in Syria — but not in the bombing campaign, limiting its role to surveillance flights. Qatar is the world’s third largest holder of natural-gas reserves, nearly all of them located in one vast field — the North Field, widely considered to be the largest single gas reservoir in the world. The geographically concentrated reserves makes it is easy and cheap to extract gas. By contrast, Russia has nearly twice as much gas reserves as Qatar but located in hundreds of different places. Seeking to undercut Russia’s gas-and-oil exports as part of its new sanctions drive against President Vladimir Putin’s government, the U.S. is aiding the petroleum clout of Qatar and Saudi Arabia. This role further crimps Washington’s ability to prevent funds and arms from flowing to violent Islamists. Qatar and Saudi Arabia generously supplied weapons and funds to violent Sunni extremists in Syria, opening the door for the Islamic State to emerge as a Frankenstein’s monster. The two monarchies, however, have supported opposing proxies in other places, including Egypt, Libya, Gaza and Mali, leading to a rift in the Gulf Cooperation Council, the grouping of the cloistered, petroleum-rich sheikhdoms. The Qatari government has aided the Afghan Taliban, Al Qaeda’s Syrian franchise, Hamas in Gaza, and Muslim Brotherhood movements across the Middle East and North Africa. Additionally, wealthy Qataris have served as private fund-raisers for a spectrum of violent Islamist groups, with U.S. Treasury officials singling out Qatar and Kuwait as “permissive jurisdictions” for terrorist fund-raising. Yet the Obama administration has remained unwilling to confront Qatar directly. Even as the U.S. wages war on the Islamic State, it has enforced no sanctions against those that helped create this monster. Indeed, there is conspicuous U.S. silence over who aided the Islamic State’s rise, lest unpalatable truths be uncovered. Today, as a result of sharpening geopolitical competition between Arab monarchies, Qatar and Saudi Arabia are arrayed on opposite sides. While Saudi Arabia backs strongman regimes in Islamic states, Qatar supports grassroots Islamist groups. The rival top-down and bottom-up approaches, however, cannot obscure the role of both camps in instilling a jihad culture in other states. In continuing to back Muslim Brotherhood-style movements — which Saudi Arabia and the United Arab Emirates view as a dangerous threat to the region and to their own security — Qatar has not been deterred by its strategic vulnerability: the Saudi military could snap it up in short order. Qatar has sought to mitigate that vulnerability in two ways — by hosting major U.S. air and ground facilities, which control access routes to Qatar; and by trying to punch far above its weight internationally. In the Sunni world, Qatar does not have the same religious-political maneuverability as Saudi Arabia, home to the holy cities of Mecca and Medina. But Qatar is buying influence by other means, including funding grassroots militant movements and hosting major international events, including the 2022 FIFA World Cup. In fact, Qatar believes its investment in Islamist causes puts it on the side that is bound to eventually win. It sees grassroots Islamism as representing the political aspirations of the majority, and has teamed up with the pro-Islamist government in Turkey to empower political Islam. In Syria, Mali, Libya, Tunisia, Egypt, Yemen, Gaza, and elsewhere, Qatar has played an overtly militant role. 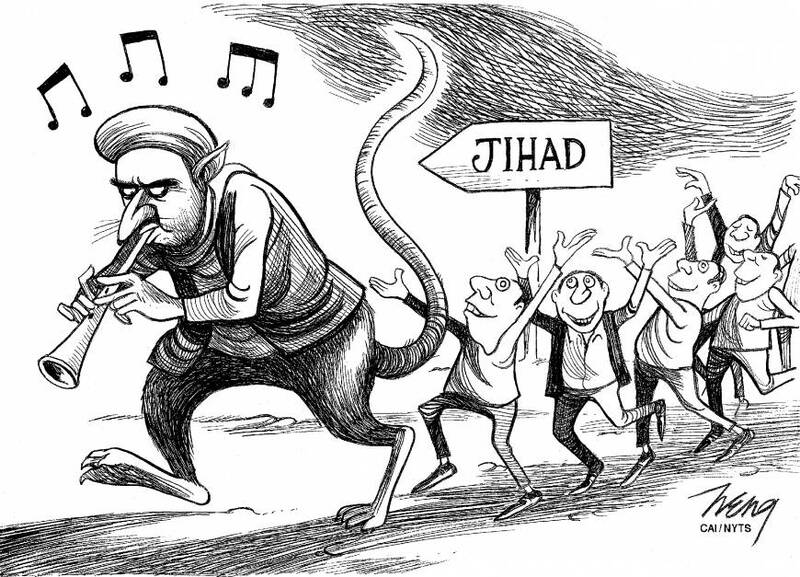 Qatar’s jihadist agenda is clearly spawning more dangerous Islamists and rearing forces of destabilization and terror. © The Japan Times, 2014.